DIY RETAILER HOMEBASE has earmarked three Irish stores for closure as part of wider cost-cutting plans. This includes two outlets in Dublin – Fontill and Naas Road – and its store in Limerick. Homebase said in a statement today that sales performance and profitability has “declined significantly” over the last two years and its current store portfolio is “no longer viable”. “Rental costs associated with stores are unsustainable and many stores are loss making,” it added. The company said that it has faced “an extremely challenging” trading environment, which has had a “significant adverse impact” on business. Overall, the retailer is anticipating that a total of 42 stores in the UK and Ireland will close in late 2018 and early 2019, putting 1,500 jobs at risk. Homebase currently operates 11 stores in the Republic of Ireland, including four in Dublin, as well as outlets in Drogheda, Letterkenny, Navan, Portlaoise, Sligo and Waterford. None of the chain’s Northern Irish stores are expected to be affected by the closures. 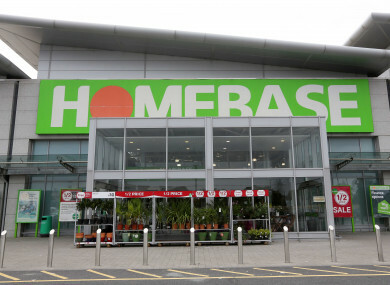 Earlier this year, Homebase was sold by Australian firm Wesfarmers to British restructuring specialists Hilco for £1. Wesfarmers had bought the DIY chain two years previously for £340 million but offloaded the business after racking up huge losses. The company’s creditors will vote on the proposed cost-cutting measures at the end of this month. Damian McGloughlin, the CEO of Homebase, said that it was a “difficult decision” to close stores, but it was also an “essential measure” for the business. “Homebase has been one of the most recognisable retail brands for almost 40 years, but the reality is we need to continue to take decisive action to address the underperformance of the business and deal with the burden of our cost base, as well as to protect thousands of jobs,” he added. Homebase operates a total of 241 stores across the UK and Ireland, employing around 11,000 people. Email “Homebase plans to close three Irish stores as its new owners slice costs”. Feedback on “Homebase plans to close three Irish stores as its new owners slice costs”.